Safe living environment that is based on the evidence "EVISAPO"
Visualizing your own anger and the source of support, and developing the feeling to take a good care of friends, supporters as well as yourself. Being aware that I can become the source of support for friends! This program consists of three steps. Anger is one of the fundamental feelings and it is completely natural to get angry. However, it could hurt you or others depending on how you express your anger, for instance when the anger is aggressive or impulsive. It is important, therefore, to learn the proper way to release the anger. If you are able to gain control over your anger you can shorten the recovery time and minimize the damage. In this step 1, students will understand their own way of feeling anger and how to express it, meanwhile they also understand the different ways people feel anger by comparing themselves with their classmates. Then, they learn the trigger of the anger so that they can deal with it before raging aggressively or impulsively. Everybody faces moments where they cannot handle a problem on their own. At that time, a feeling of having a safety net of support from those around you (you can ask for help) prevents you from getting desperate. If you know a consultation center that provides proper support, you can ask for it when needed. At the step 2, you will check what kind of help you need when facing the problem or who would support you. You will learn that it is okay to ask others for support. In addition, you will be informed of the specific public and private support organizations around you and points when asking for help. It is said that the closest counselor or supporter is a friend for the young from puberty to adolescence. Learning the basic idea of how you should give a helping hand when you have a friend who has been down or getting desperate, you will realize that you can become the one to support them. In this step 3, you will think about how to speak to someone when they are in trouble, and then you will learn the difference between hearing and listening. While checking points of listening, you will listen to each others in pair work. This is how you will learn to listen. In the end, you will ensure what you are capable of and consider the way not to pretend that you know nothing. This program is based on a scenario which all of the classmates are meant to take part in. There might be a student who is having a serious trouble in a class and adults have not recognized it yet. Attending to the program, the student at risk could get support. It is expected that the program will provide the intervention and follow-up. However, if you use this program to a student who is already having a problem and being supported by the professional, you will need to cooperate with a school nurse or a school counselor so that they can prepare a proper approach and guidance in case you notice something unusual in the student. 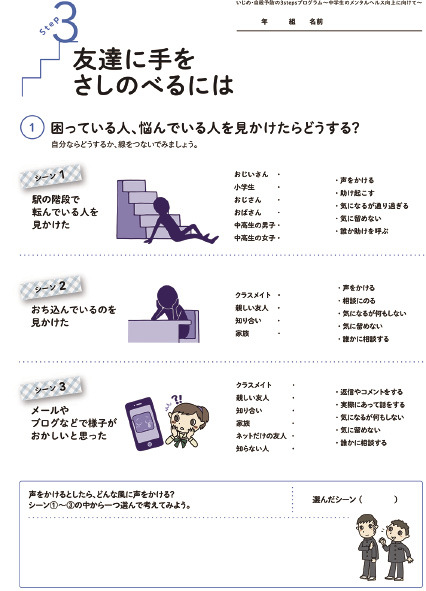 The number one cause of death among the young from 15 to 29 years-old is suicide. Also, the incidence of bullying has tended to increase every year. It can be said that it shows the counter-measures used so far have reached their limitation. 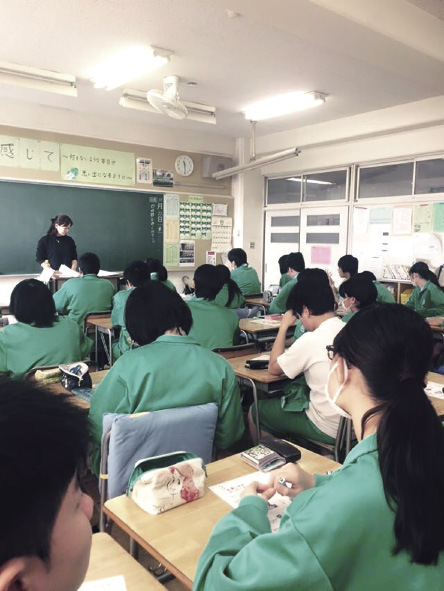 Junior high school students are reaching puberty, but also it is the period of learning, through trial and error, how to communicate with people. It is important to become competent in handling the mental issues by effectively using the support gained through relationships with close friends or reliable adults. This program aims to help children in puberty become able to recognize the conflict in themselves and ask for help from people around them and to support children to develop the ability provide support where they can. Meanwhile, it has been difficult to take a sufficient time for a class specializing in bullying and suicide prevention, because the time schedule at junior high school is too tight. 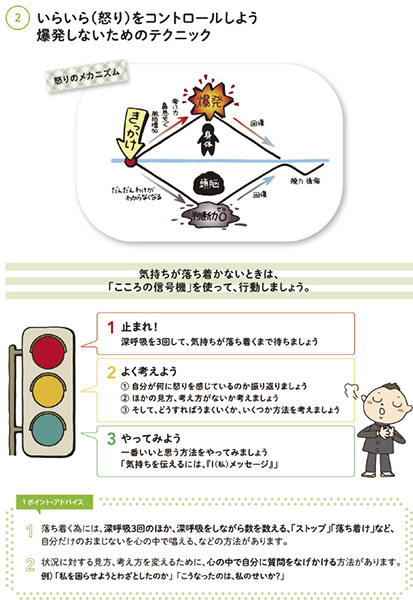 Therefore, group members of the research team picked up the teaching curriculum specifically related to bullying and suicide from *“Syakaisei to joudou no gakusyu (SEL-8S) no susumekata Chugakko-hen” invented by University of Teacher Education Fukuoka. They arranged the curriculum, so it can be completed within the short class of the three times of 45 to 50 minutes each. 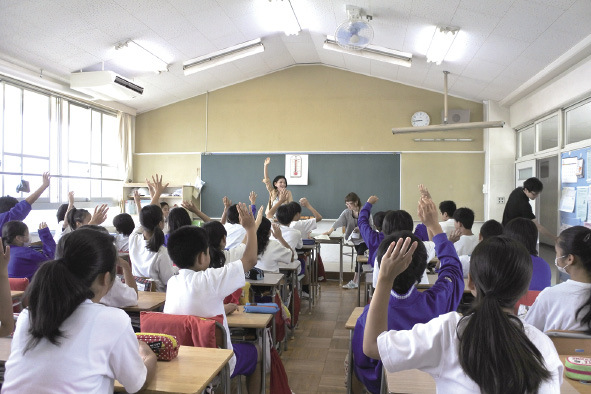 Therefore, junior high schools can conduct the course in a class such as health and physical education or class activities. * Reizo Koizumi & Yohei Yamada. “Kodomo no ningenkankei wo sodateru SEL-8S (Zen 3 Kan)”, Japan: Minervashobo, 2011. 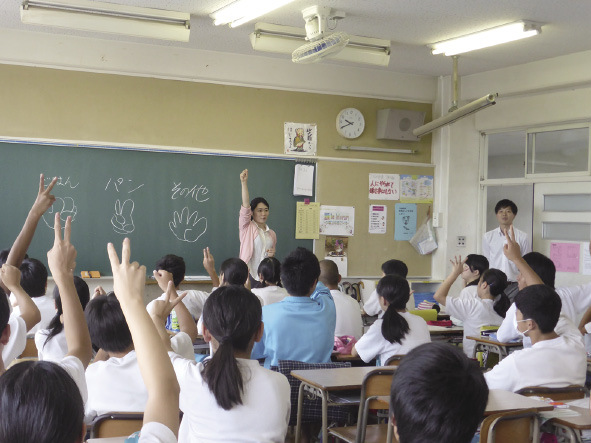 The program was implemented for students at Atsugi City Mutsuaihigashi junior high school. 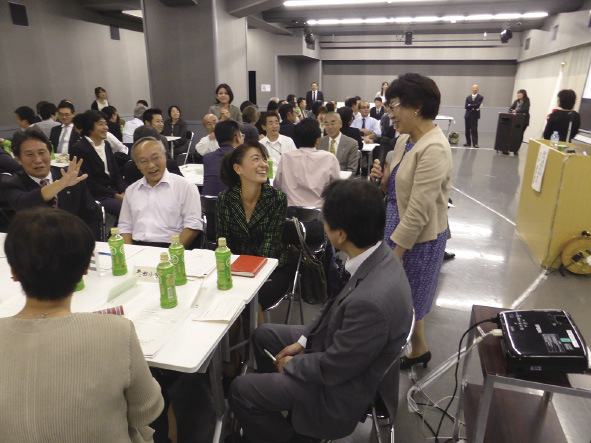 The process started with the advance teachers’ training, and then the workshop was held. After that, there was the post teachers’ lecture, and two months later the fixing verification (effect measurement) was carried out as the end of the process. 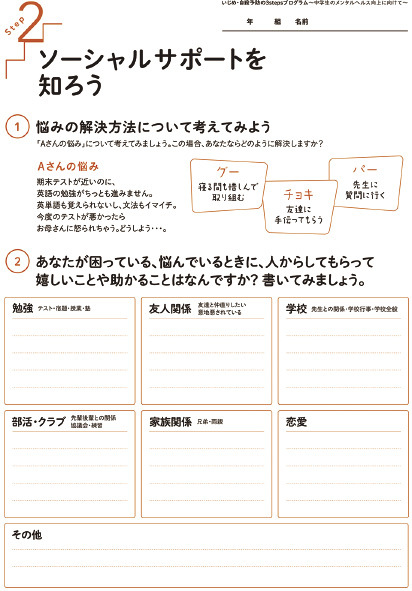 Improvement of the worksheet and content was done through the whole process. Thoughts (selected) from the students after carrying out each step are shown below. I learnt when I get angry. I will try not to explode in anger, or if I do I will try to fix it quickly. I learned there is a difference in people between how much they get upset and how they feel at that time. It turned out I actually got angry more often than I thought. Learning that showing anger is better than storing it up, I thought I should try to express it. 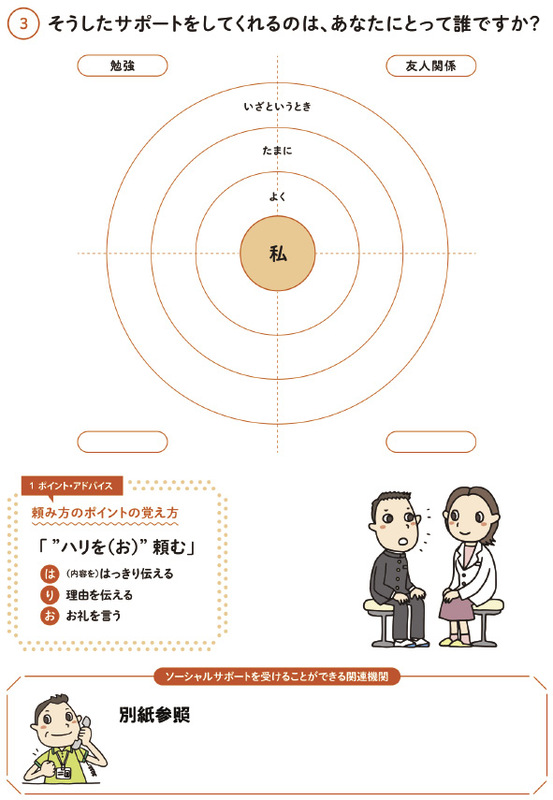 I want to try the breathing method (the approach of dealing with anger). As I have always been helped, I want to help someone next time. I thought it is okay to ask someone for an advice more when I have a trouble. Writing the chart, I learnt that I have received so much support. I want to take care of friends. I want to be able to actively speak to those in trouble more. I thought it is important to have a conversation and properly, “listen” to them. I was thinking that I am not good at advising so it is better not to talk about it, but it turned out even just listening is good. It is really good to know it. When listening to someone, I will try what I learnt in the class today. Another finding from the case conducted for adults such as PTA chairperson is the importance of countermeasure made from the point of view of children. 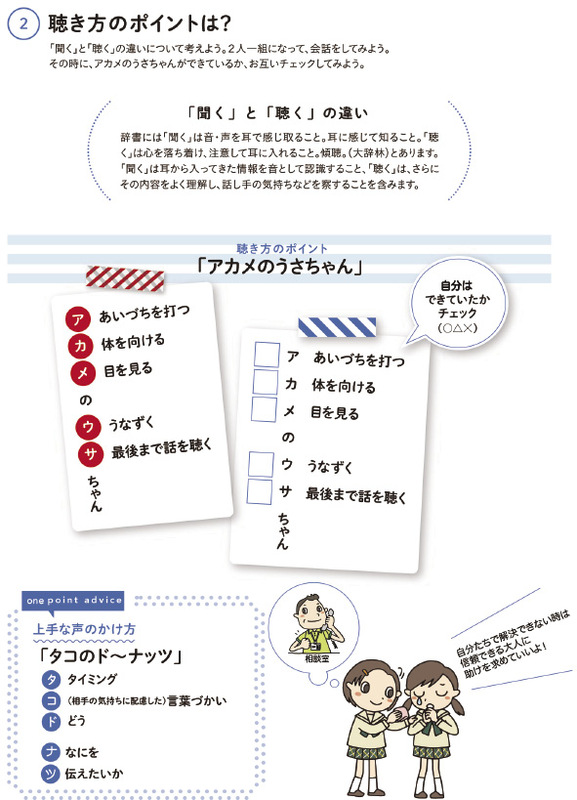 This website is operated by the office of project「collaborative activity support for the development of safe school and community up to international standards, which was adopted by Implementation-Support Program (R&D results integrated Type) promoted by Independent administrative agency, Japan Science and Technology Agency , Research Institute of Science and Technology for Society. The program introduced on this website, integrates and consolidates multiple R&D outcomes produced by RISTEX research area "Protecting Children from Crime". This program provides collaborative activity support for the development of safe school and community up to international standards.Through the Application Exampless you can get the project and event information of of our program from 2013. 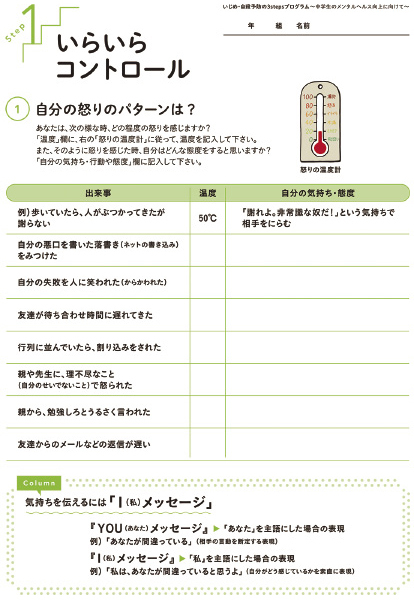 See more details about each program , please contact related organization introduced in the 「Program Support Group」. We hope through this website to introduce our program or application examples to as many concerned as possible, school , area aiming at being certificated as Safe community or international safe school and people concerned, so that they can make good use of them. ©copyright EVISAPO All rights reserved.